Rowena has been working in Conveyancing in Tasmania since 2001 and joined the Ogilvie Jennings team in 2018. She has extensive experience managing conveyancing files. Rowena has not only worked in law firms but also established and ran her own very successful practice as a Licensed Conveyancer for a number of years. Rowena knows how stressful property transactions can be for clients. She prides herself on providing high quality service and constant communication to all parties and has good industry relationships with other solicitors, conveyancers, real estate agents and financial institutions, which all make for as smooth as possible outcomes. 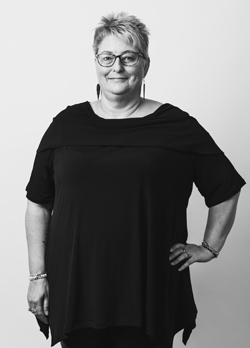 Rowena works in our Kingston office and can assist in all aspects of buying, selling and transfer of residential and commercial properties anywhere in Tasmania.